The global mobile BI market is envisaged to witness the addition of new products and features to keep consumers interested. For instance, the Redmond-based giant technology company, Microsoft recently announced the inclusion of new features such as ‘Shared with me View’ in its all-platform Power BI mobile apps. Also accessible through web portals, Power BI mobile apps have been updated to facilitate users with a single place to share all dashboards. Key analysts predict a new level of advancement in the global mobile BI market owing to latest launches such as Yellowfin 7.3+. It allows the formulation of keen business insights for data and IT analysts through trustworthy and governed data and flexible creation of dynamic visualizations for developers. The augmenting need of mobile BI software solutions across a myriad of organizations is envisioned to propel the demand for consulting services and professional services. 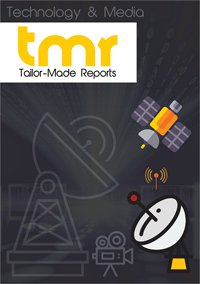 As a result, the services market could register a significant CAGR during the forecast period 2017–2025. Several industries have expressed the need to streamline their sales and resolve sales-related problems in real time. This is anticipated to set the tone for a reliable growth in the sales market for mobile BI. However, mobile BI is also implemented for other business functions such as human resource, finance, operations, marketing, and IT. While small and medium-sized enterprises (SMEs) could up the growth in the global mobile BI market for receiving low-cost solutions, large enterprises are predicted to birth a staggering demand on the back of time-efficient and cost-effective features. Mobile Business Intelligence or mobile BI is the ability that aids the mobile personnel to attain business insights via information analysis employing applications improved for mobile devices. Business intelligence or BI is basically referred to computed-based techniques employed in the spotting, extracting, and evaluating business information such as associated incomes and costs or sales revenue by departments or products. Though, the notion of mobile computing has been long prevalent, the concept of mobile BI has gained momentum in the last few years. This growth has been encouraged due to the significant change in the wire world with the advent of wireless technology with smartphones giving rise to a new era of mobile computer technology, prominently in the field of business intelligence. Organizations are developing their personal Information Technology (IT) monitoring tools in order to gain enhanced visibility into the new intricacies. The right solutions can help one detect patterns that will help predict issues early before they occur. Mobile BI permits big data from IT to be transformed into appropriate and actionable insights for a rapid resolution. It further enables the business organization to extract information from key operational data units such as log files, events, performance metrics, and trouble tickets to proactively dodge outages, attain faster mean time for repairing, and understand cost savings through better operational efficiency. The market intelligence publication delves into the possible growth opportunities for the global mobile BI market and the chronological growth of the market throughout the forecast period. It also uniquely provisions required data related to facers such as dynamics influencing the progress in all possible retrospective manner. Several ubiquitous and non-ubiquitous trends have also been mentioned in the study. An outlook of extensive nature keeping in mind the Porter’s five forces analysis has been provided to make the vendor landscape transparent to the reader. The report further reaches out to point out accomplishments related to R&D, acquisitions, mergers, and crucial partnerships and verifications. The companies in limelight have been analyzed on market shares, products, and key strategies. The key drivers of the global mobile BI market are the growing trend of bring your own device (BYOD), rising platforms of mobile enterprise application, burgeoning popularity of Representational State Transfer Application Programming Interface (REST APIs), growth of in-memory computing, and robust advancement in the features of mobile device. The global mobile BI market is also progressing owing to the transformation from the generic BI techniques for the purpose of business data analysis to advanced methods and the upsurge in the flow of unstructured and structured data. The mobile BI market can be classified on the basis of industry verticals, amongst the segments of insurance, financial services, and banking are likely to be the leading adopters of mobile BI due to the extensive rise in data volume and the growing demand for IT systems in banks and several other financial institutes. The market in North America is expected to emerge lucrative owing to the growing technological advancements and early adoption of business intelligence solutions. Due to the high opportunities for vendors in the industry verticals of the Asia Pacific region, mainly in Japan, China and India, the market is projected to witness strong growth. Some of the leading players in the market are Qlik Technologies, SAS Institute, Tableau Software, SAP SE, Microsoft Corporation, and IBM Corporation.